Buying a car has never been this fun. Immerse customers in a unique buying experience using augmented reality. Car dealerships get the most out of Webkon features. Upload galleries of cars organized by type and price and allow users to instant message sales people from their mobile devices. Upload high quality images of the vehicles on your lot. Include mileage details, pricing, and test drive registration forms to capture customer details. Bring more customers onto your lot when they can virtually test drive vehicles using augmented reality. Send push notifications to potential buyers and existing customers about upcoming sales events, price drops, and new inventory. Make car buying easier and eliminate barriers between your customers and employees. 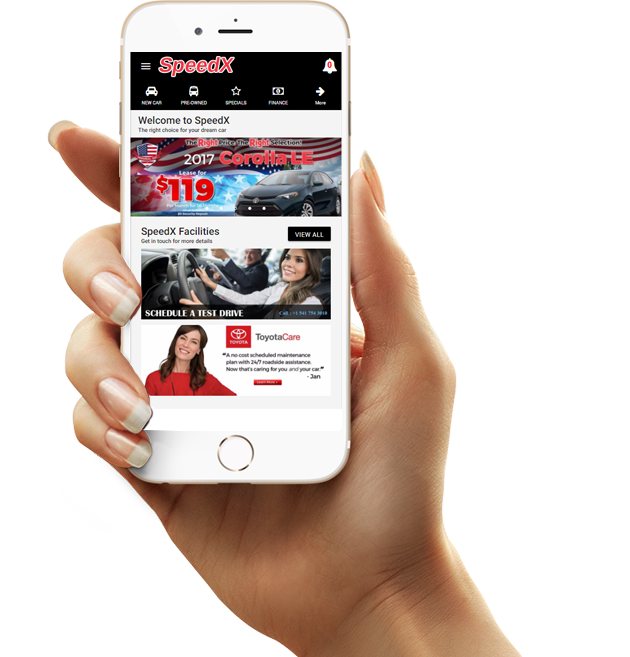 Users can instant message sales people to get more information on cars they view in your online gallery which leads to more appointments and test drives. Using Google’s Eddystone technology send instant alerts to new customers when they enter your showroom. Provide sales event details, specials, and more. Webkon apps help these businesses to interact with their end users 24/7. With push notifications, a native app feature that Webkon has, showroom agents can send alerts of upcoming service or a festive sale to the users. The users can get hold of the notification even when their mobile devices are in the offline mode or the browsers are closed. Show room owners or the sellers can update content about car maintenance, car accessories, second hand cars sales, and fresh arrival, or a free introductory service. The best part about progressive web app is that with use the content gets updated. The user does not need to upload the app or download it from any app store. With the help of Webkon app you can run successful social media campaigns. From interactive quizzes to voting contests to newsletter signup you can have everything with a clear idea of what you want. To accomplish success you can also incorporate feature to reward people who share your campaign with other users. Webkon apps can act as a centralized customer feedback system as well as lead capture tool for car showroom or the automobile sector. By creating surveys and getting feedback of the prospective customers, you get to know what they are actually looking out for. By doing so you can analyse critical information and make sure your leads do not get lost in the pile of information you offer. Webkon apps support advanced data analytics. With the help of Data Analytics businesses can get reports on bestselling cars, bestselling brand, bestselling campaign, and bestselling festival or bestselling month. With different reporting tools such as calculator, businesses can get meaningful reports for making planned decisions such as customized services and deals. Put images of cars and their interiors. By doing so the potential buyers can get an idea of what car they are looking for even before visiting the showroom in person. With images, other details like mileage, car capacity, additional functionality, colour, and more can be linked. Users can use Physical Web Browsers and 3D view for accessing the image and content. application gives your customer the opportunity to test drive their favourite car from the comfort of their mobile devices. With the use of 360 degree photography incorporated with high quality content, the videos look amazing and realistic. The virtual reality helps the user to understand car interiors and exteriors in detail. Add a huge list of cars in the app. From new cars to used cars, from spare parts to car accessories, from new deals to loyalty benefits, everything can be put in the content including images and videos wherever needed. Webkon apps are very light and offer humongous opportunities to the sellers as well as the buyers.